Since my husband retired we spend our winters near the ocean in what we affectionately call our “beach house,” despite the fact that we are about ten minutes from the water. We are close enough to enjoy sea gulls and mild winter temperatures, but far enough inland to avoid the storm surge from hurricanes and Nor’easters. The interior decorating of the place has a decidedly coastal flavor and feels like a vacation home. Tooling around Pinterest the other day, I stumbled across “Beach Wreaths” and fell in love! This place “NEEDED” one! I made note of the styles I liked, and then started searching the internet to see where I could buy one similar to the ones I liked on Pinterest. 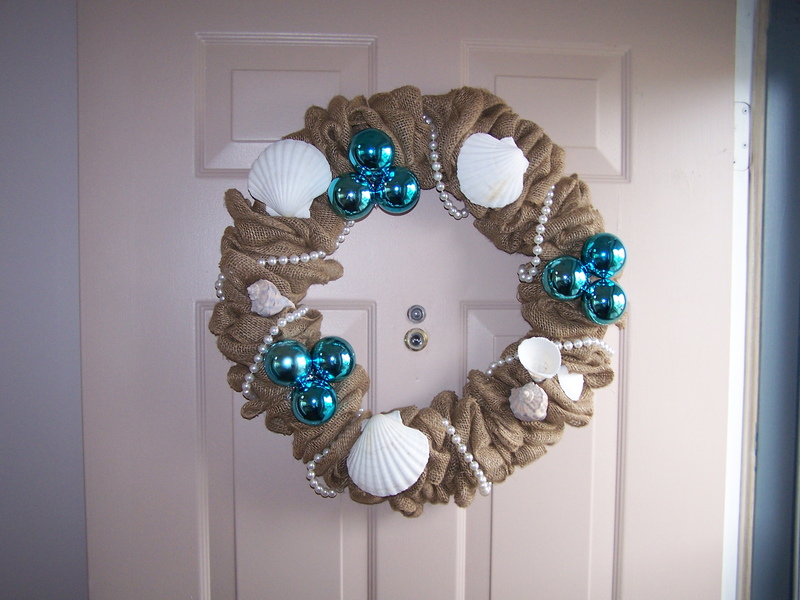 My dream beach wreath is made from burlap, with kisses of blue and sea shells. I found several that I liked ready-made but they came with an exorbitant price tag. Not wanting to shell out $100 plus dollars for a decoration to hang on my front door, I decided to build one myself. 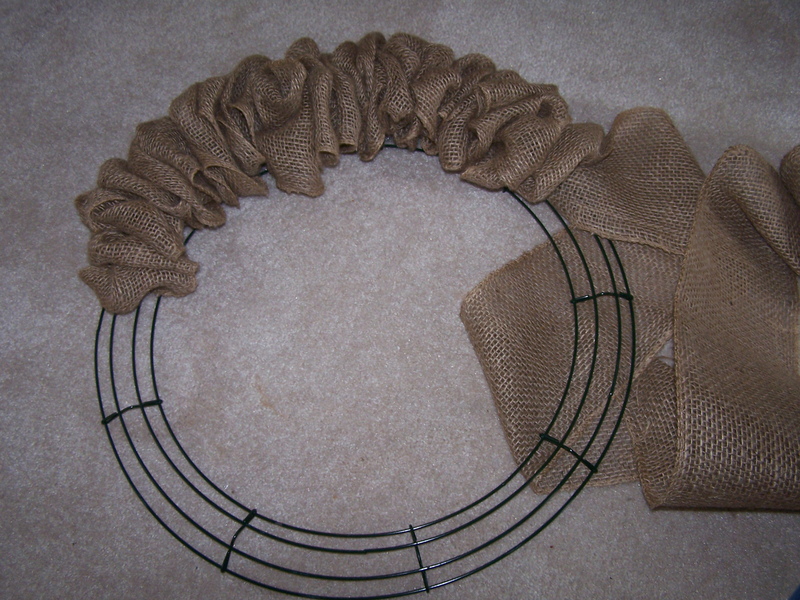 My supplies for step one: wreath frame, burlap, wire and wire cutters. The process is easy. 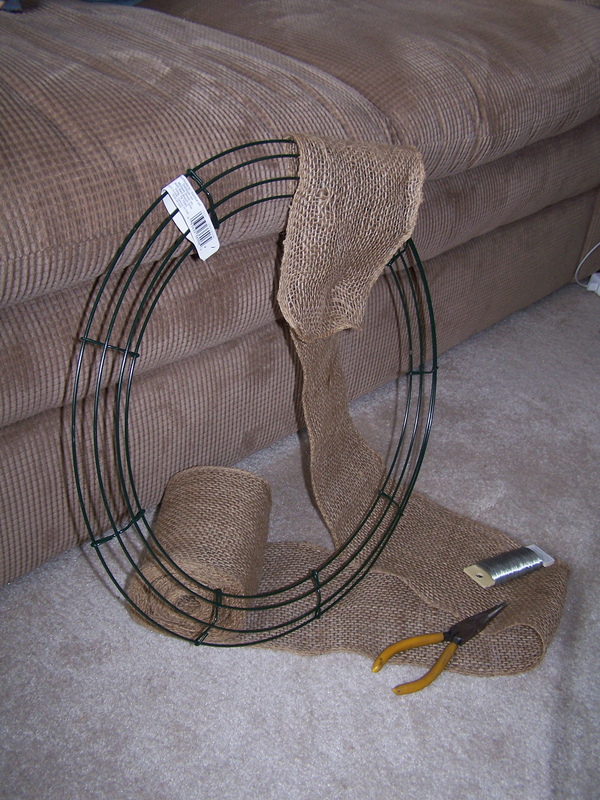 Attach one end of the burlap to the frame with florist wire, make whatever size loops you want and run the wire around each loop, securing it to the frame. 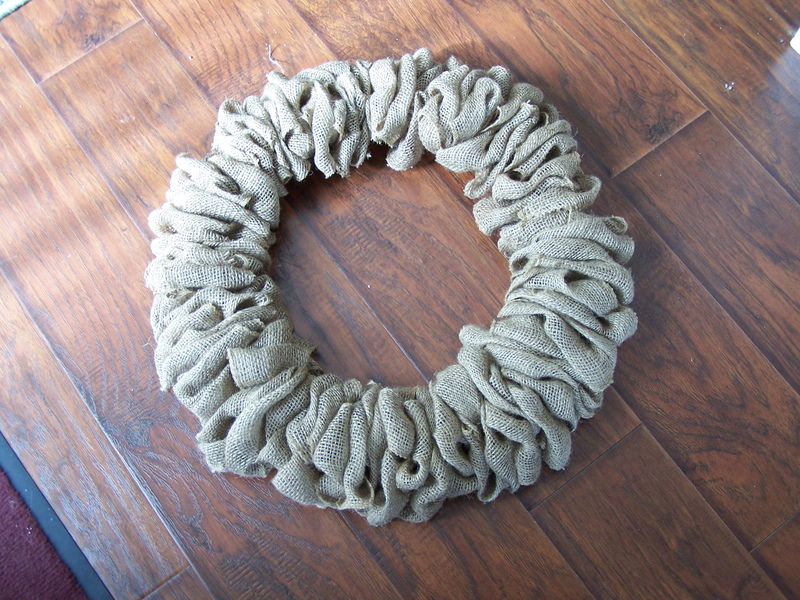 Some instructions on the web tell you to just tuck the burlap into the frame, but I wanted my wreath to be more permanent. Working the burlap around the frame. Work your way around the frame, looping and wiring as you go. My frame is 18″ and I used two 10 yard rolls of burlap. The back of the frame showing my wiring. I ran the wire around the inner rings of the frame. I used a thin florist wire that is nearly invisible. Some directions suggest tan colored pipe cleaners, but I wanted to keep the costs as low as possible. The burlap is complete. Now to decorate! I purchased blue Christmas ornaments from a discount store and a bag of sea shells. With the aid of a hot glue gun, I attached wire and fastened them into place on the wreath. I paid $3 for 12 ornaments, and another $4 for the shells. 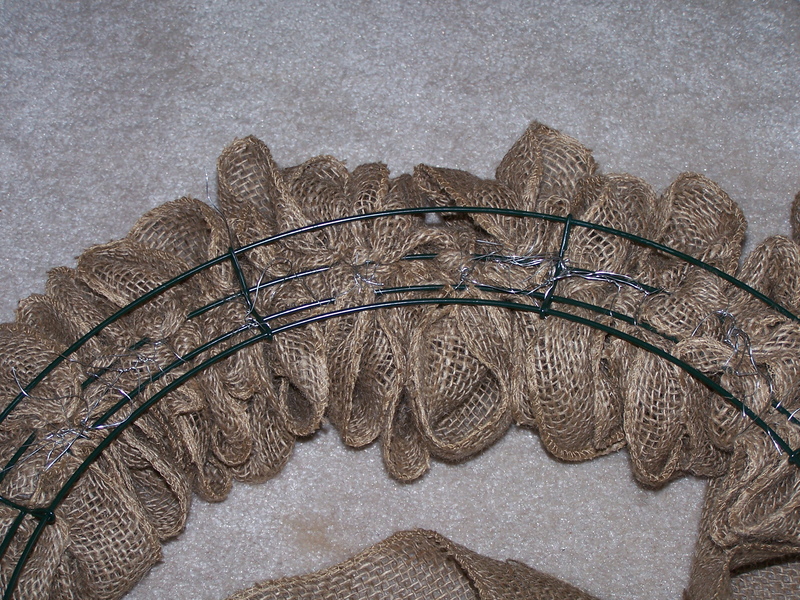 The burlap cost $7 a roll (I used 2), wire was $1, and the frame was $3. Total investment was @ $25 and 90 minutes labor while watching television. I topped it off with a string of pearls salvaged from old Christmas tree decorations that haven’t been used in several years.